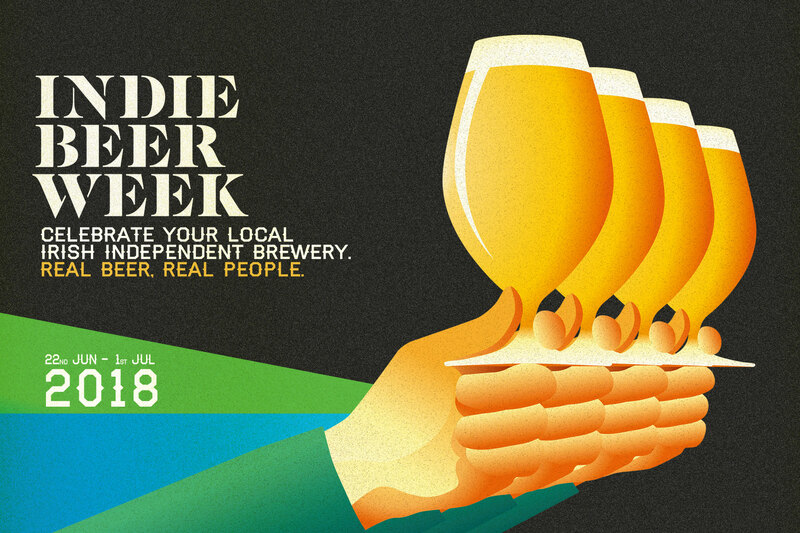 The second annual Indie Beer Week runs from 22nd June to 1st July – show your independent brewery some love, and meet the people behind your favourite brew. Indie Beer Week 2018 runs from 22nd June to 1st July and it’s the perfect time to swing by and explore your local independent brewery – where real beer is made. 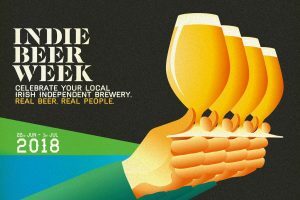 A week-long celebration of independent Irish brewing, Indie Beer Week 2018 sees local craft breweries all over the country opening their doors for tours, tastings and behind the scenes craic, while pubs, restaurants and off licenses will be celebrating the very best in local independent beers. With over 50 events scheduled all over the country, almost every county in Ireland has a day out to enjoy, fuelled by the Irish public’s love and appreciation for independent beer. Ireland has a vibrant and exciting independent brewing scene, with interest from the public growing exponentially, year after year. Indie Beer Week capitalises on that interest, providing the opportunity to meet the people behind the beer, putting a face to the name of some of Ireland’s most interesting and innovative independent brews. The week-long schedule of events by independent Irish breweries, which began with the inaugural Indie Beer Week last year, focuses on emphasising the very real and important connections Ireland’s brewers have with their local communities. Last year during Indie Beer Week 27 breweries held 35 events in 18 counties with approximately 3,000 attendees. This year there are more than 30 participating breweries across the island of Ireland, with over 50 unique and intriguing events, and a hoped-for attendance of up to 10,000 guests at events which range from brewery tours, talks and tastings to beer house yoga, jazz and trad sessions, long table beer-matching dinners, scavenger hunts and much more. Working closely with other local food producers, craftspeople, musicians and artists to showcase the independent spirit of their region, the independent Irish brewers participating in Indie Beer Week are all flying the flag for community and connection. As well as making great beer, many small independent breweries act as a hub for other local activities, providing not just economic stimulus in any given region, but also acting as cultural and social catalysts. Here at Dungarvan Brewing Company we are celebrating by opening our doors once again to welcome chefs Shane McGrath and Paula Hannigan to present a long table dinner, celebrating our local producers with a Food the Waterford Way Local Producer’s Feast on Saturday 23rd June. Shane joined us last year for our inaugural long table dinner and we are delighted to welcome him back with Paula to present a shared-dining feast. On Saturday 30th June we will be hosting an open day at the brewery and will be welcoming visitors throughout the afternoon for music, tours and beers with some special guests. Pre registration will be necessary, and more details will follow. If you are interested in attending please drop us a line to reserve your space. Indie Beer Week is how the independent brewers of Ireland get to say thanks to the communities that support them, and we are also in the process of organising more events with some of our local stockists. We’ll be releasing details of these as they are finalised so keep an eye on our Events here and on our Facebook page.